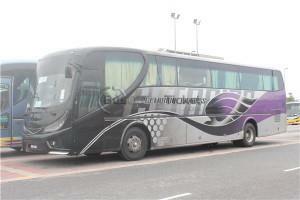 Nusan Enterprise is a well-managed express bus agent based in Johor Bahru. They do not own any coach fleet. However, they are doing their best job to manage few bus brand to provide top services for their customers. Some of the famous bus operators managed by Nusan Enterprise are the Eltabina Express and the LPMS Express. Nusan Enterprise offer boarding points at Johor Bahru Lankin Terminal and Tun Aminah Bus Station. Both Eltabina Express and LPMS Express specialize in bus service to smaller towns in Perak and Kuala Selangor area. Eltabina Express provides bus services to destinations including Bidor, Tapah, Kampar, Ipoh, Penang, Butterworth and Sungai Petani. 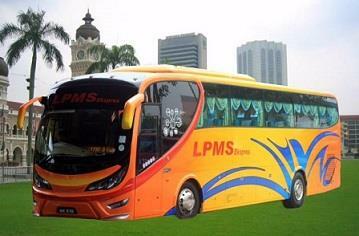 Meanwhile, LPMS Express provides bus services to destinations including to Kuala Selangor, Tanjung Karang, Sungai Besar, Sekinchan, Sabak Bernam and Simpang Empat. LPMS Express buses are high-deck with sitting configuration 2+1 executive seats. You will find the bus to be air-conditioned, spacious and comfortable for your journey. Eltabina Express on the other hand have two type of coach namely 27 Seater Super VIP coach and 37 Seater Double Deck coach. Passengers therefore can have variety of choices to choose from to go to their destination or to their hometown.